Two things that would be great to see 1. 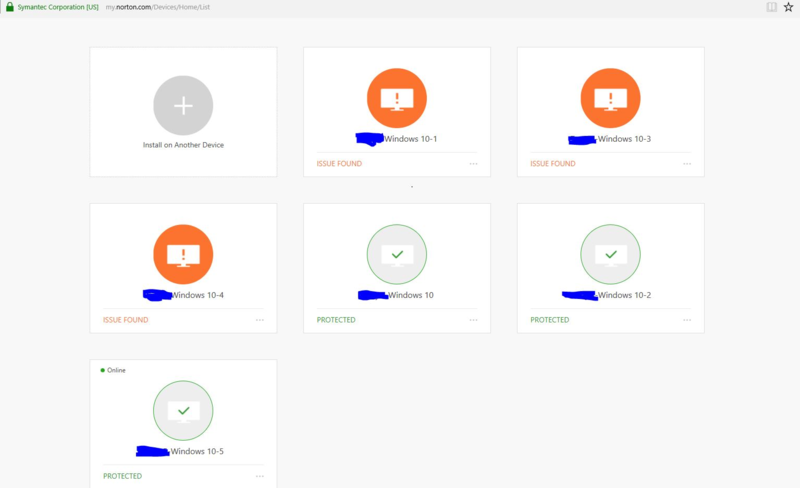 I have Norton's Security for 10 devices all my devices are listed as Windows 10 and have no unique name to it on your device management page. PLEASE you need to put that in your installation software. I need a way to remove and replace as needed. Without having to delete all of them and then go to each one and re-register. I am a system Builder and I run a LAN Party for a group lots of them use a PC and then want to buy it so I sell it and build another I don't make a profit all the money I make goes to upgrading the LAN equipment. You may think that what you have in place is good enough but I assure you it's not the only reason people haven't been ready to attack your methods is because they don't think you'll listen like you ever have you don't. and no wonder if the navigation of this community is as bad on your end as it is on the user end your ambassadors can't really make heads or tails of how to make a fluent workflow from this poorly Administrated Community. Witch brings me to point 2. 2. The navigation to your community is horrible. Hands down at the top 10% of the worst I've seen out of armature level Fourms. From old dead links and even in your choice to create tab you have two options. First is forum thread and second is Idea. If you click idea it takes you back to the Community Home page now. I'm trying to enter a new line and your page is to buggy to allow me to do so. Everything from this point on will look run together. (that's a shame). Get with the program this is not the quality we expect from Norton's. Oh new line now great thanks. BUGS BUGS BUGS Oh wait great went to start a line after bugs bugs bugs comment and shot courser to a line between point 1 and point 2 horrible. P.S. I would have expressed this in ideas and not forums but again Ideas link broke so if you remove this it shows what type of sorry system you have with out the proper people to fix the issues witch will put me in question what the future of your product holds and if I will feel safe using it. Been with Norton's since 1996 looks like in December we may say that 22 years was a good run.